Stagecoach move some of their services out of Exeter Bus Station (2nd attempt). 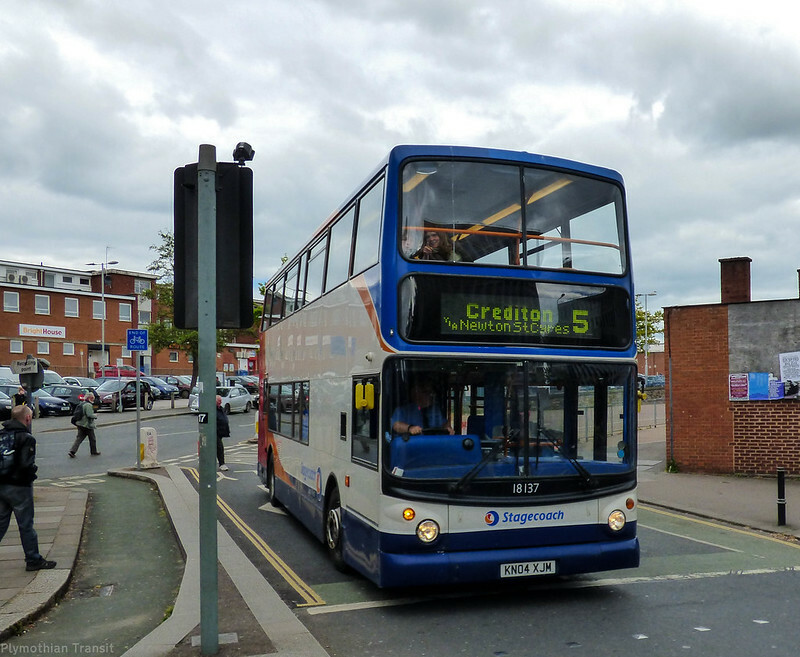 Stagecoach are operating a special timetable for three days for Oceanfest. They are not very well publicised though. Other Details: To relocate Terminal point, due to the partial closure of Exeter Bus Station. Other Details: To add an journey from Croyde to Bideford on Friday & Saturday night. To operate Friday 15, Saturday 16 and Sunday 17 June 2018 for the Oceanfest Festival held at Croyde. operates at similar times each year when the Oceanfest festival is held. Other Details: To relocate Terminal point, due to the partial closure of Exeter Bus Station. College/School Days, up to 3 journeys in each direction. Other Details: To relocate Terminal point, due to partial closure of Exeter Bus Station.